Kids...young and old...gather for some treats! 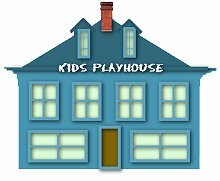 Welcome to the Kids' Playhouse. 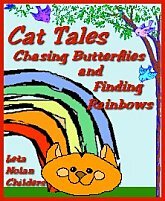 There's lots of fun things to do here...so just click on the links and enjoy. First up...why don't you take a few minutes to write your letter to Santa. He wants to hear what you've been doing, whether you've been naughty or nice...what you want to find under the Christmas tree. AND best of all, Santa answers all his emails. Better yet, DiskUs Publishing is going to pick one lucky kid to win a really neat surprise. So, get busy and click here to send your letter to Santa Claus! Like to laugh? Santa does. And he's collected 50 jokes and riddles to make you giggle...and groan. Click here to catch the riddles! Don't know what to make Mom or Dad for Christmas? Click here for some great ideas for stuff you can make yourself! Want to play some fun games? Click here to head for some Christmas games. Want to make some fun crafts? Click here to make some fun crafts. 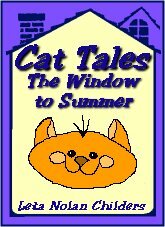 And, when you're all done with that, get Mom's or Dad's permission to download the Cat Tales Game. Just print it out, cut it out and have lots of fun while waiting for Santa Claus! 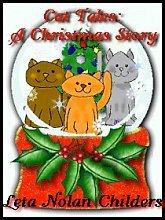 Click here to head over to the free Cat Tales Game.